A good friend of mine (Hi, Tammy) recently purchased a home and asked me to help her with some paint and design ideas. I usually jump at the chance to decorate anything, but her request presented a challenge. Everything I am currently into is the worn, rugged industrial/French/Pottery Barn look. Her taste? Bright, bright, bright. But no worries, as a design chameleon, I am up to the challenge. For better or worse I am that creature who as soon as I have that new style I have fallen in love with in every room of the house, “Yawn,” I’m over it. It’s a sickness. So in an attempt to inspire my friend, I started trolling the internet for her bright style. What I found was that most bright colors are used in children’s rooms. 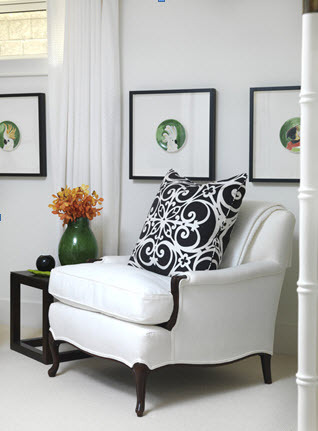 And although I like soothing whites and grays, bright colors can be sophisticated. The challenge is to make bright colors look grown up. And a challenge it is. 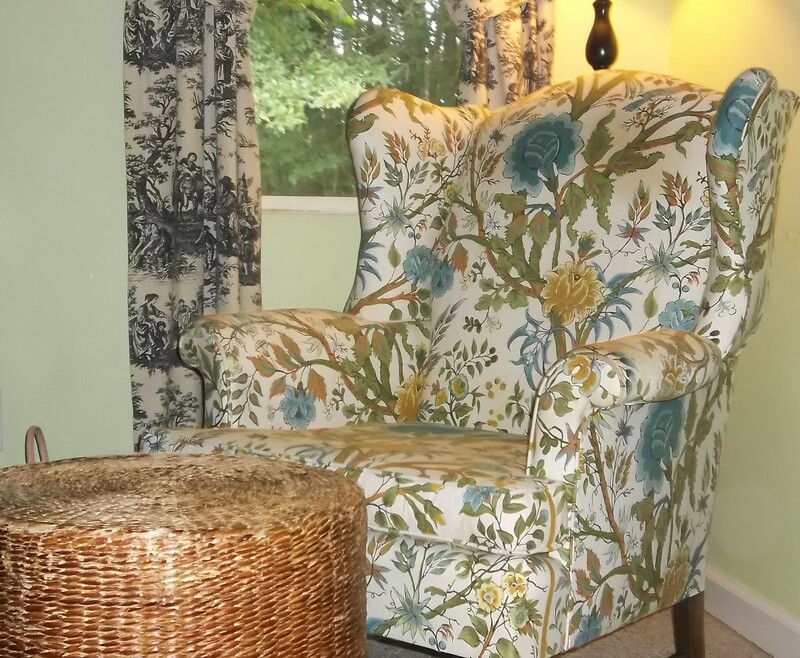 I couldn’t find anything decidedly interesting for adults in bright hues that someone would actually want to live in, so I just pulled from my own decorating past (and prove to my friend) that I can switch styles like I do shoes. 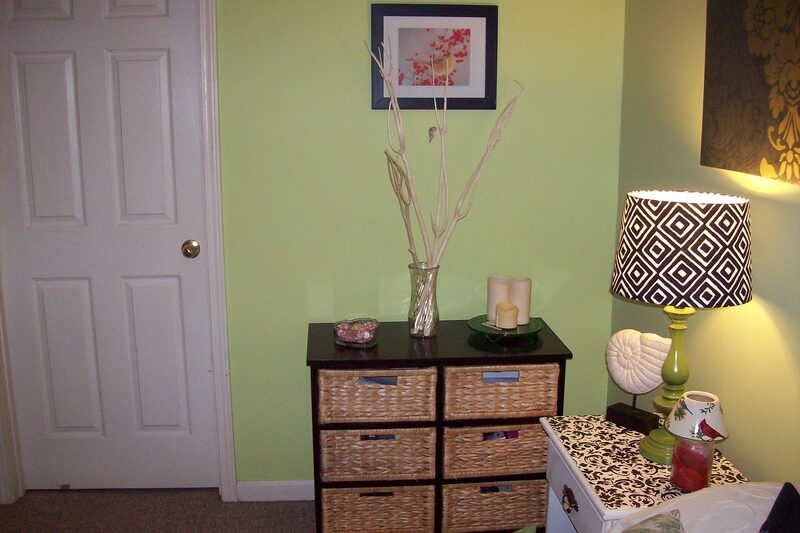 And that once upon a time, I did an entire room in an almost lime green. 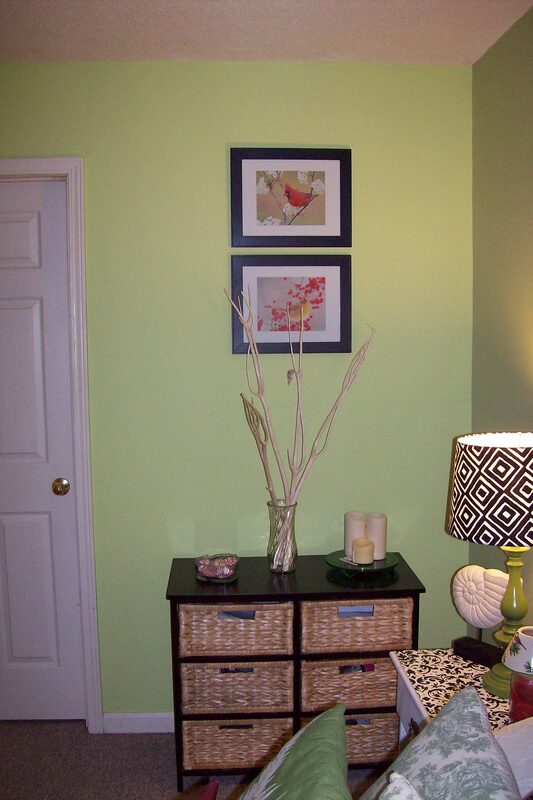 So for any of you rare birds out there craving color in your nest, here’s a peak at my adventure in decorating in bright green–on a very limited budget. 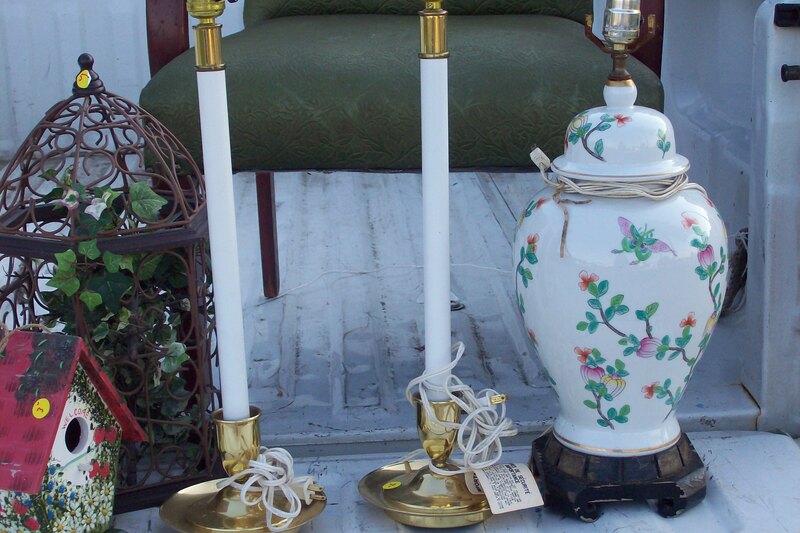 Almost everything was purchased at yard sales or shopped from other parts of my house. I started with this inspiration room from Sara Richardson, who to say I love and admire her sense of style is an understatement. 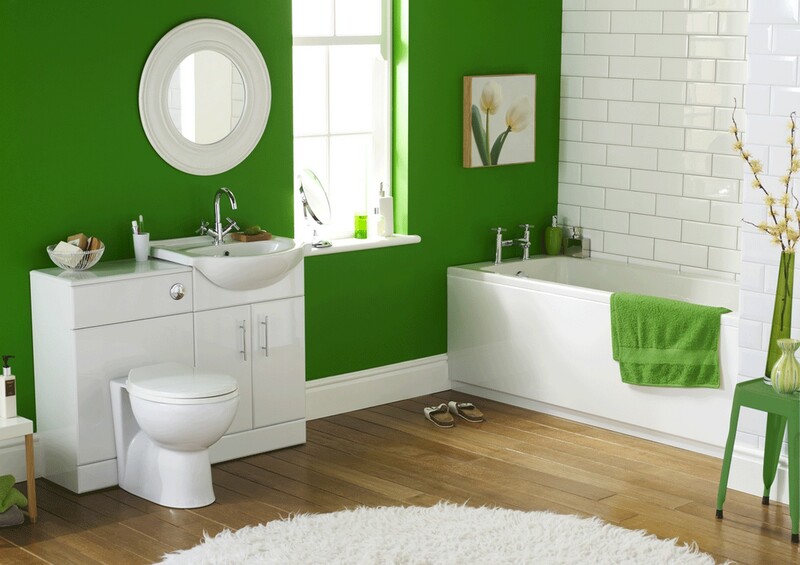 After I painted the room Spring Green. I started looking for items in the black and white and green family with just pops of red. For the small wall, I found some beautiful cardinal prints on the internet and framed them using black frames I already owned. 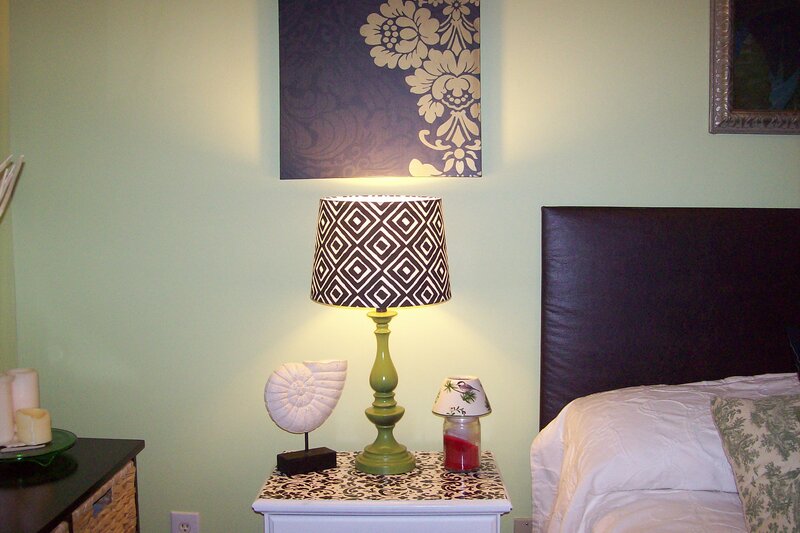 I spray painted this lamp base, which was black, transforming it into this unusual shade of green that I then topped off with a black and white geometric shade purchased from Target. I made the headboard out of plywood and a faux leather. 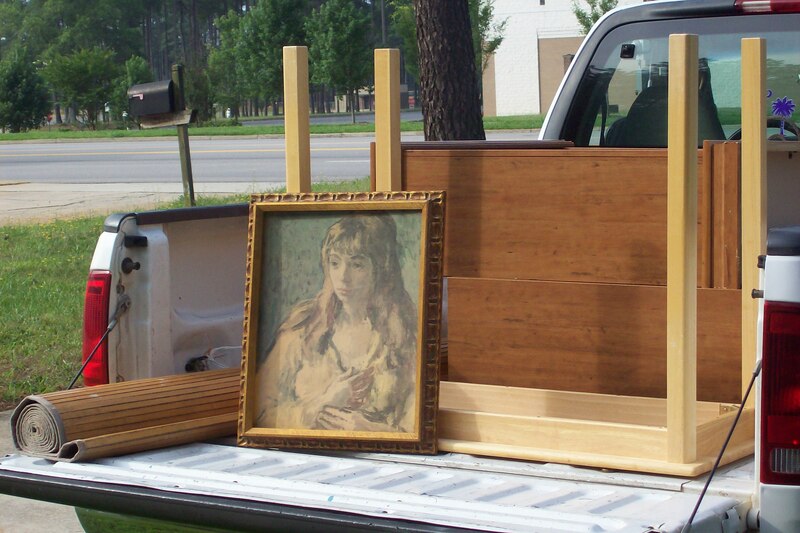 The gold and black art work were canvases I picked up at a yard sale. I also picked up these great green pillows at a yard sale. 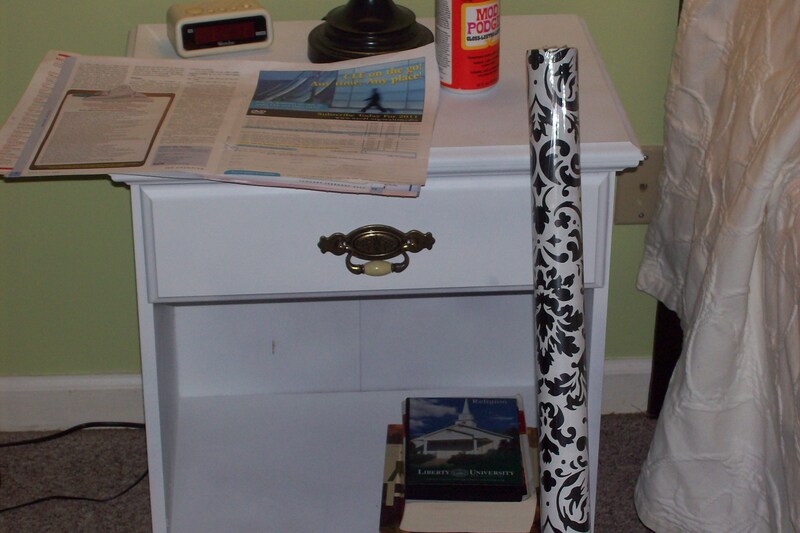 Next, I decoupaged a pair of end tables I had picked up at another yard sale after I first painted them bright white. I used a simple roll of gift wrapping paper for the tops. These end tables later went through another transition when I used a blue chalk paint on them. And I am happy to say that they are now in the safe hands of Tammy, who can take them to the next level when she decides what paint colors she is going to use in her new bedroom. Now for the other wall. 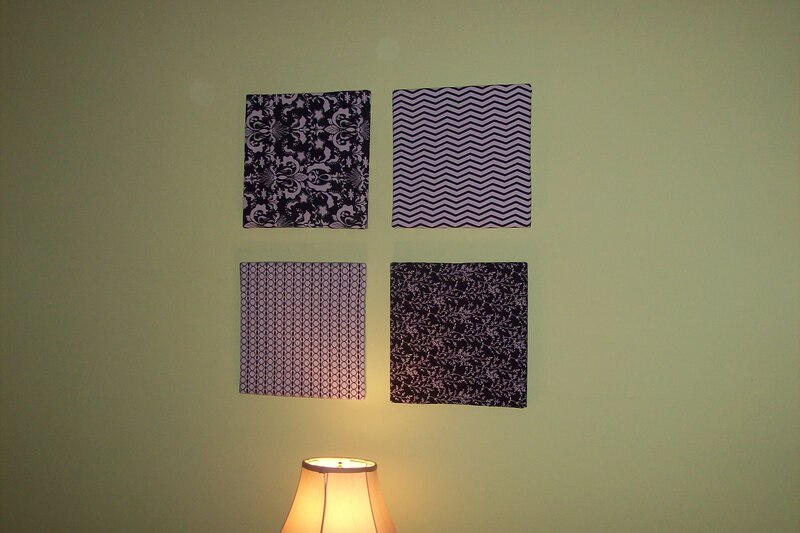 I wanted to try my hand at creating an “interest” wall. 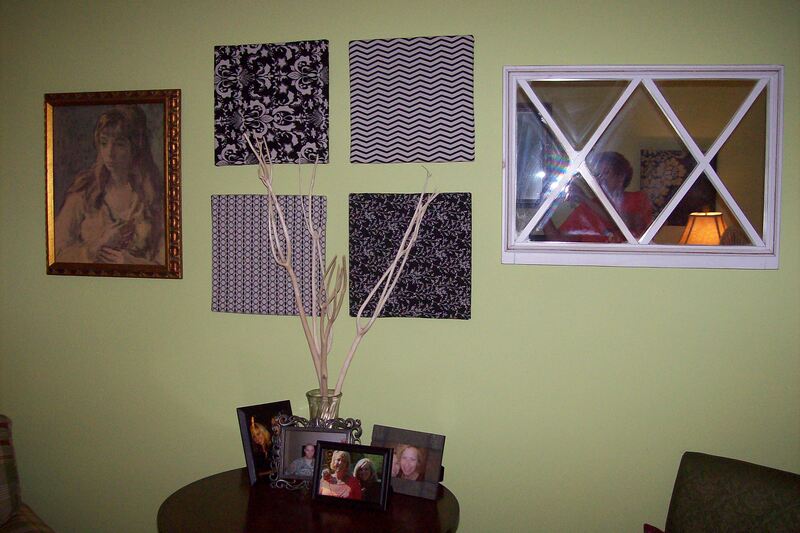 I started with small cork boards I picked up on clearance at Wal-Mart for a few dollars and then covered them with black and white squares of fabric that I also picked up in the Wal-Mart craft section. I just got my staple gun out and completed them in less than 10 minutes. The most time-consuming part was first ironing the creases out of the scraps of fabric, which had been folded in the package. I then got busy yard “sailing,” for real on the hunt to find some special items to complete the interest wall. 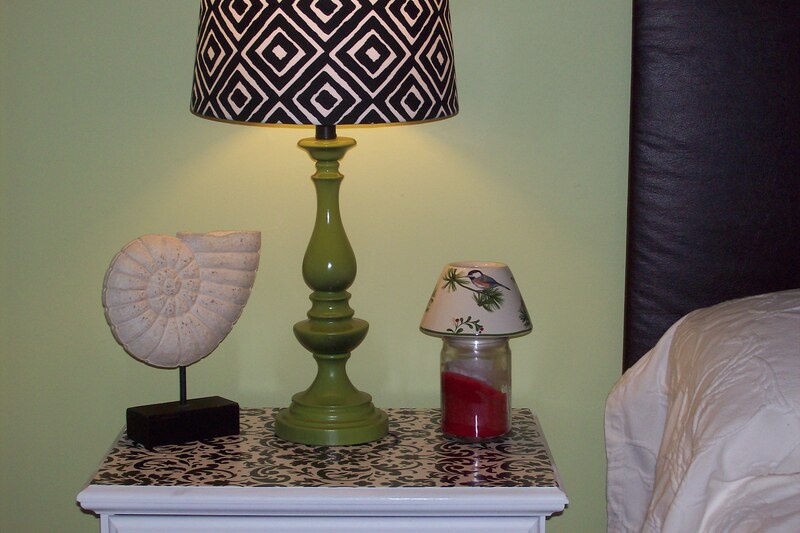 Here’s a snap of some of the fun things I picked up and later transformed, including a console table I later turned into my computer table. I mixed modern with traditional but tried to choose items that went with one another in terms of scale and color. 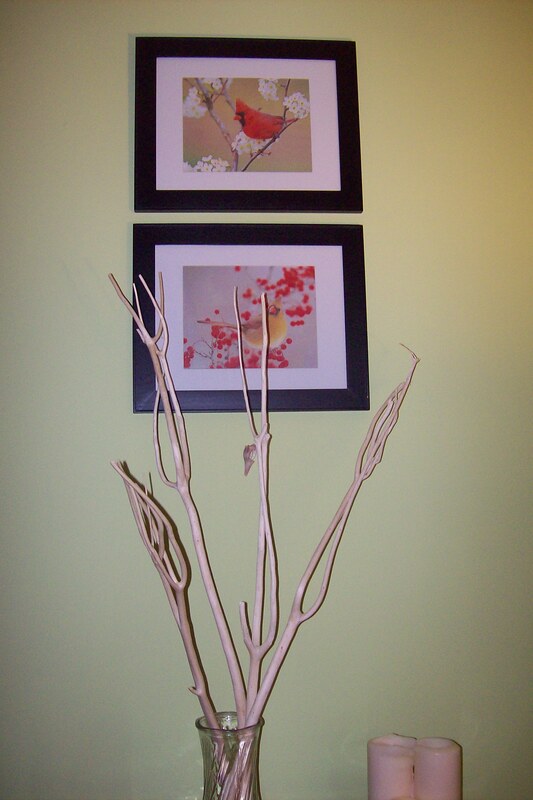 In the corner of the room I wanted to create a little sitting area like the inspiration photos. 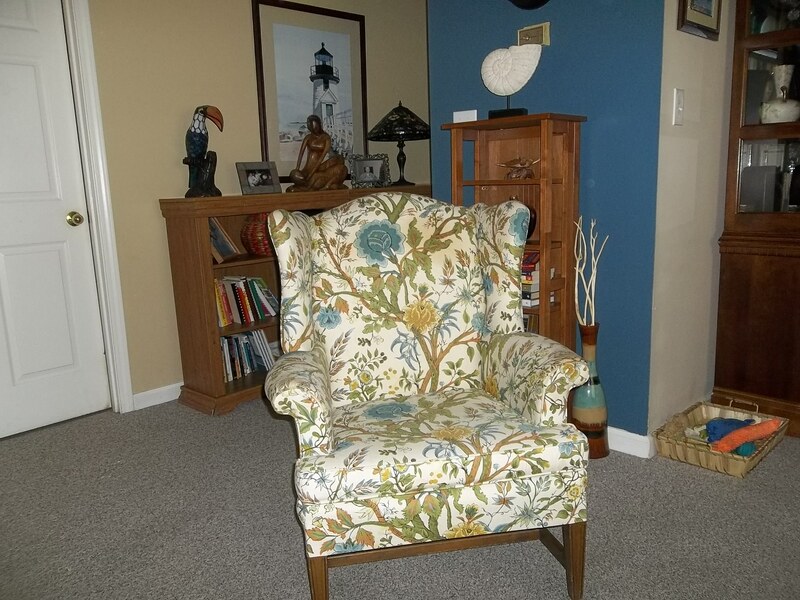 I shopped this chair I had picked up at the Goodwill from my living room. I wanted to try mixing patterns. 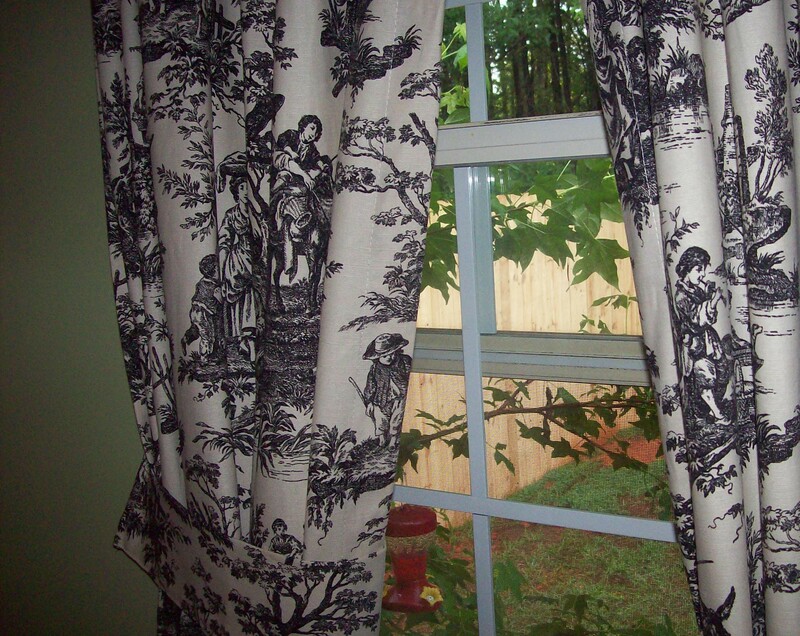 My most expensive purchase for the room was this pair of black and white toile curtains I purchased from Lowe’s. Last was my computer table. 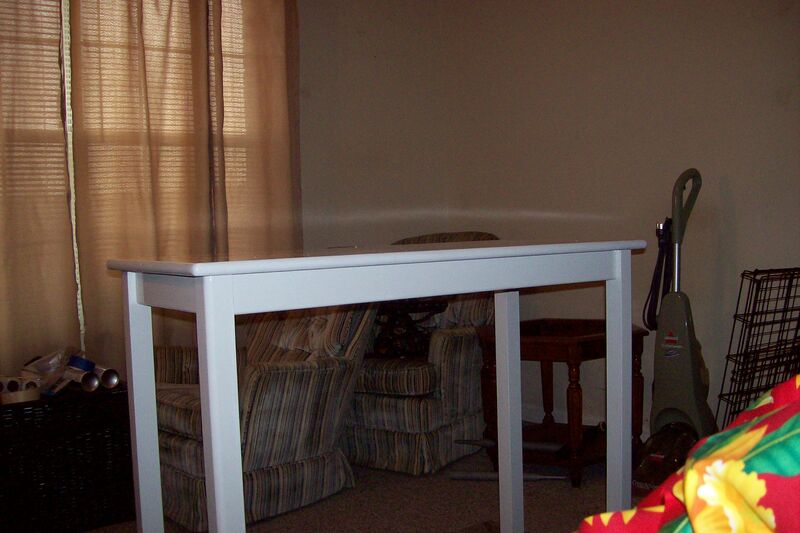 My step-father cut the legs down on the console table and I painted it a bright white to match the end tables. 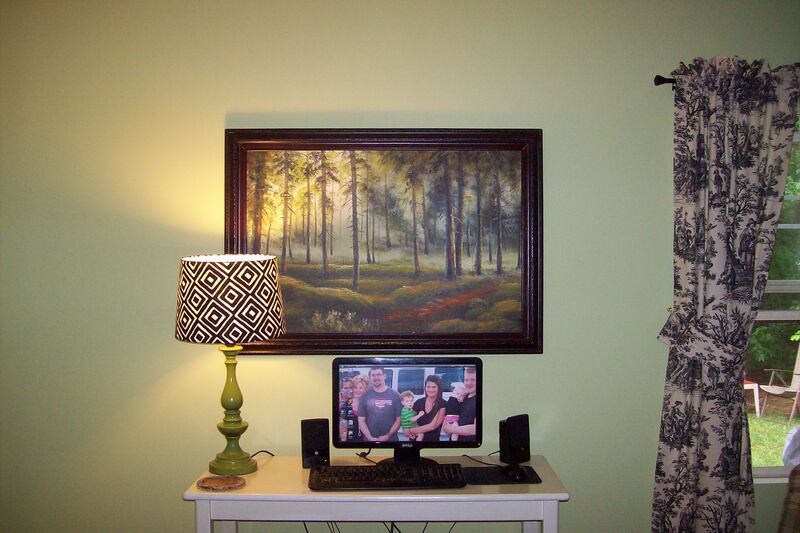 Wow, I had forgotten how much time and elbow grease went into transforming my bedroom. 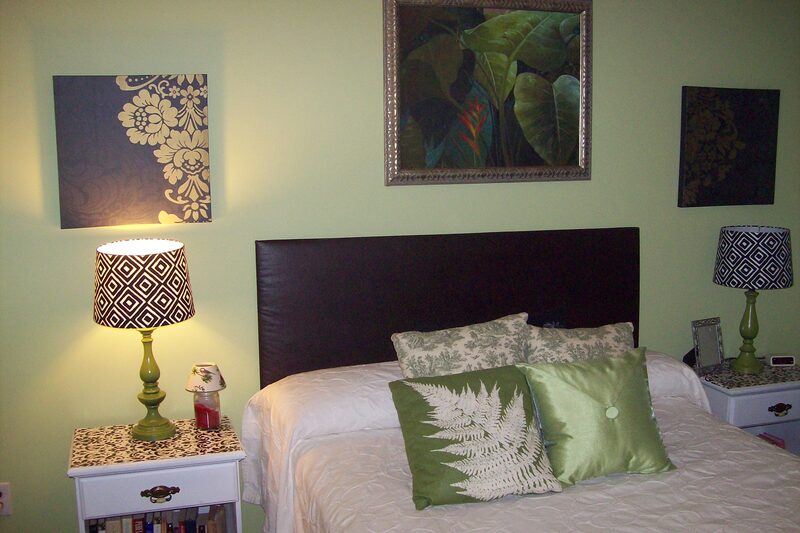 It was a great experience in painting and transforming inexpensive items to create a cohesive look. And it was lots of fun. I have to say that after this stroll down memory lane, I am ready to go bright again! I keep telling myself that I love my current style, but I know it’s a lie. I like all styles. Like I said, it is a sickness. Happy decorating, Tammy. End note: As I was finishing up my trip down memory lane, I stumbled across Will Taylor, a talented young man featured on an online issue of Lonny. 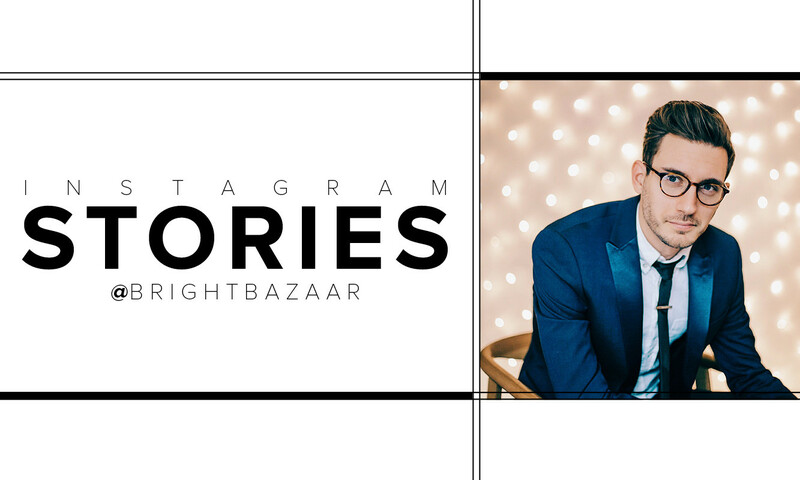 He knows a thing or two about decorating in bright colors and after checking him out at @Brightbazaar, I recommend all color lovers take a cue or two from him.